A lifestyle with a demanding job, a never-ending list of chores at home, and perhaps even marital problems, could increase your stress levels drastically. When this stress is prolonged, it may become chronic, as more and more cortisol and adrenaline are released into your blood. Eventually, your body’s NeuroEndoMetabolic (NEM) Stress Response system, a self-regulated system that protects you from excessive stress, may become disrupted and result in Adrenal Fatigue Syndrome (AFS). Having AFS means experiencing symptoms such as fatigue and weakness during the day, the inability to complete your ordinary daily tasks, mood swings, a lack of sexual desire, irritability, insomnia, mild depression, or heart palpitations. AFS sufferers generally encounter challenges balancing blood sugar levels, i.e. reactive hypoglycemia. Symptoms of hypoglycemia, such as dizziness, fatigue, anxiety, and feeling drained, only increase with advanced stages of AFS. Consuming healthy snacks throughout the day may help balance your blood sugar levels, enhance your mood, and vitalize your energy. Heading to the vending machine for packaged cookies, granola bars, or fruit snacks may worsen the problem. Instead, prepare healthy snacks and have them on hand with you as your day progresses. While foods and drinks like coffee, caffeinated tea, alcohol, processed food, and sweeteners could worsen symptoms of AFS, various other foods could aid you in managing hypoglycemia. The snack options listed could help stabilize your blood sugar levels, provide you with energy, and optimize your physical and mental health in many ways. Diet may play a role in managing symptoms associated with AFS such as low energy levels, mood swings, and anxiety. A lack of B vitamins and magnesium are linked to surges in anxiety. By adding avocados, cashews, almonds, or dried berries to your diet, you may succeed in reducing stress over time. 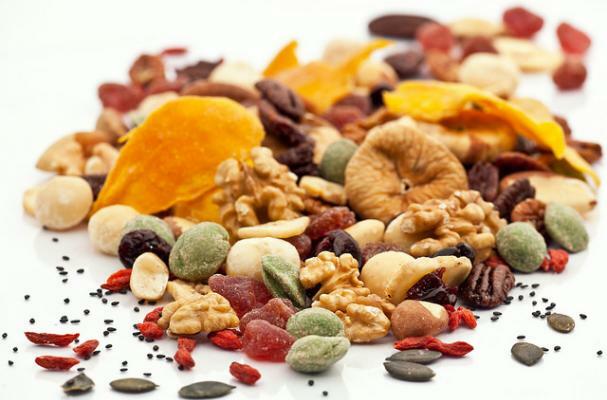 Make a homemade trail mix using raw, organic cashews, almonds, pecans, walnuts, hazelnuts, together with dried, unsulfured fruit such as blueberries, apricots, cranberries, or goji berries. Add Himalayan salt to water, allow it to dissolve, and add the nuts. Allow them to soak for at least twelve hours before consuming. This increases the beneficial enzymes, reduces the phytic acid and other toxic substances in the nuts, and eases digestion. Combine the nuts and dried fruit and place the mixture in an airtight glass container. Have this snack on hand with you throughout the day, as it will manage blood sugar spikes, sustain cravings and hunger, boost your mood, and invigorate your body. Try avoiding ready-made trail mix, as the majority of these are full of additives, processed and refined table salt, peanuts, non-organic nuts, and seeds full of byproducts that could be harmful, as well as genetically engineered oils such as canola or soy. Additionally, peanuts are legumes, not nuts, and are best avoided while managing AFS as they contain aflatoxins that could intensify inflammation in your body. Eating more fatty fish, particularly those bursting with omega-3 fatty acids, may put your body at ease. Consuming an adequate amount of omega-3 fatty acids may help to stop both adrenaline and cortisol spiking when you are under pressure. Salmon is the richest source of omega-3 fatty acids. To make salmon roll-ups, use either kale or romaine lettuce leaves and top it with shredded, cooked salmon. Dark, leafy greens such as kale or spinach are high in magnesium, which helps regulate cortisol levels in your system. Top it with extra virgin olive oil, slices of ripe avocado, and some fresh lemon juice for a scrumptious, healthy snack. Healthy fats, such as raw nuts, extra virgin olive oil, organic grass-fed butter, virgin coconut oil, avocados, and salmon, balance your blood sugar, improve your NEM stress response, and may reduce anxiety. Alternatively, use a good-quality tortilla bread, but managing AFS is easier if you avoid most processed food altogether. Using turkey is another great choice if you want to change things up a little. Turkey is high in protein and an amino acid known as tryptophan, which releases your feel-good hormones. Salmon roll-ups make a great mid-morning or late afternoon snack that gives you energy to keep going. At times, when you feel like your sugar-cravings are on a roll, you need to listen to your body and satisfy those cravings. Don’t load up on snacks or treats full of refined sugars or high fructose corn syrup, however, as both not only increase your desire for more sugar but are also linked to increased anxiety. Fresh berries, which are low on the glycemic index and high in numerous vitamins and minerals, are a great substitute for sugary foods. Top whole grain crackers or brown rice crackers with raw almond or cashew butter and add a handful of fresh blueberries or raspberries. Almonds are high in vitamin E and vitamin B2, both of which bolster your immune system during stressful times. Blueberries are bursting with antioxidants and vitamin C, aiding in repairing and protecting cells when you are under stress. Your snack would have the perfect combination of healthy and satisfying fats, antioxidant-packed blueberries, and a crunchy cracker high in fiber as well. Kale, spinach, and other leafy green vegetables are extremely high in vitamin k, magnesium, iron, fiber, and many other crucial minerals and vitamins. Magnesium and vitamin C, particularly, could aid your body in balancing stress hormone levels as part of your AFS management. Use roughly chopped, fresh kale leaves, drizzle them with extra virgin olive oil, and sprinkle with Himalayan salt. Bake for about 10-15 minutes at 350 degrees Fahrenheit, and enjoy as a nourishing and delicious snack. Kale chips are full of healthy fats, fiber, and minerals, and great for stabilizing blood sugar levels. Hummus, a popular dip made mainly of garbanzo beans, is extremely high in folate, protein, fiber, and a myriad of minerals. Hummus is made by blending garbanzo beans, tahini (ground sesame seed paste), extra virgin olive oil, a bit of Himalayan pink salt, freshly squeezed lemon juice, and ground cumin. Hummus is packed with healthy fats, protein, vitamin C, and fiber, keeping your blood levels balanced and your stomach remarkably satisfied. Using Himalayan pink salt is a wise choice, as it contains many trace minerals, is not bleached or refined, and is crucial for those with AFS as they are usually depleted of salt due to aldosterone dysregulation. Dip fresh vegetable sticks such as celery, carrots, broccoli, or cauliflower into your hummus for a boost of vitamins, fiber, and a great taste. Michael Lam, M.D., M.P.H., A.B.A.A.M., is a western trained physician specializing in nutritional and anti-aging medicine. Dr. Lam received his Bachelor of Science degree from Oregon State University, and his Doctor of Medicine degree from the Loma Linda University School of Medicine in California. He also holds a Master’s degree in Public Health. He is board certified by the American Board of Anti-Aging Medicine where he has also served as a board examiner. Dr. Lam is a pioneer in using nontoxic, natural compounds to promote the healing of many age-related degenerative conditions. He utilizes optimum blends of nutritional supplementation that manipulate food, vitamins, natural hormones, herbs, enzymes, and minerals into specific protocols to rejuvenate cellular function. Dr. Lam was first to coin the term, ovarian-adrenal-thyroid (OAT) hormone axis, and to describe its imbalances. He was first to scientifically tie in Adrenal Fatigue Syndrome (AFS) as part of the overall neuroendocrine stress response continuum of the body. He systematized the clinical significance and coined the various phases of Adrenal Exhaustion. He is an international best-selling author and has written seven books: Adrenal Fatigue Syndrome - Reclaim Your Energy and Vitality with Clinically Proven Natural Programs, Advanced Symptoms of Adrenal Fatigue Syndrome, Adrenal Fatigue Syndrome Cookbook, Estrogen Dominance, Beating Cancer with Natural Medicine, The Five Proven Secrets to Longevity, and How to Stay Young and Live Longer. 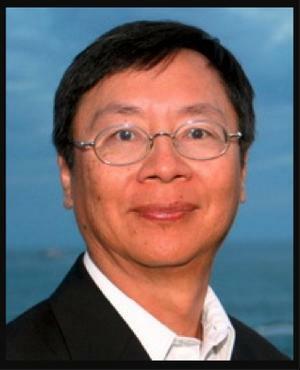 In 2001, Dr. Lam established DrLam.com as a free, educational website on evidence-based alternative medicine for the public and for health professionals. It featured the world’s most comprehensive library on AFS. Provided free as a public service, he has answered countless questions through the website on alternative health and AFS. He serves as senior health and nutritional coach at DrLam.com, where his personal, telephone-based coaching services have enabled many around the world to regain control of their health using natural therapies.